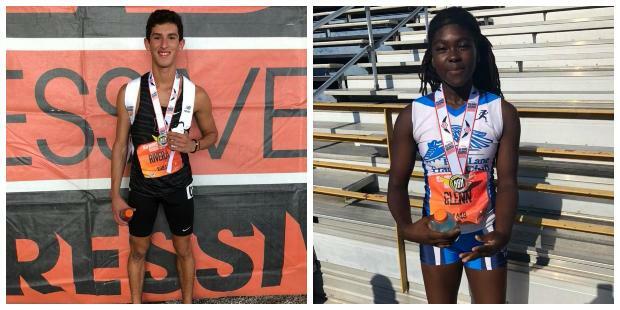 New Balance Nationals Outdoor kicked off on Friday and the state of Florida was well represented. Although we had no national champions, we did have several top ten finishers in both the emerging elite and championship divisions. 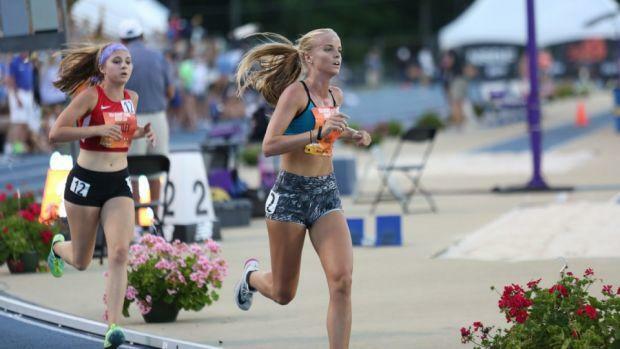 The Villages HS junior Rebecca Clark just missed out on a top six finish and All-American honors in the Girls 5,000m Championship. Clark, who was 6th at the 2017 Cross Country Finals and placed third outdoors in both the 1,600 and 3,200m was 8th with a time of 17:16.33. Her best on the cross country course at 5,000 meters is 17:55.60. Mahdere Yared of Pine Crest, one of the top distance programs in the southeast, opted to compete in the girls freshman two mile and finished 4th in 11:29.03. Sunshine State athletes also had success in the field events. Springstead senior Kyle Manuel was 4th at the state meet and runner-up at Golden South Classic. He launched the discus 165'08" to earn runner-up honors in the emerging elite division. Kane Aldrich, the 3x 1A state champion in the pole vault from the Community School of Naples finished runner-up in the emerging elite section with a mark of 15'03.5". 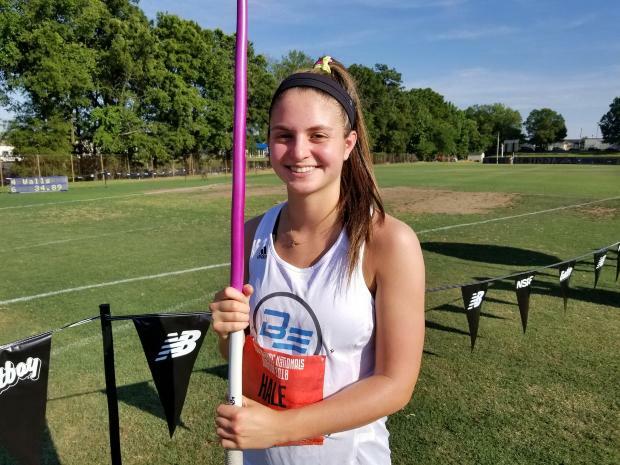 Florida doesn't have the javelin, but that didn't stop Rebecca Hale of the Broward Elite Athletic Club was 5th in the girls emerging elite javelin with a throw of 35.29m or 115'09". 2A pole vault state champion Laine Roberts of Bolles and the Jacksonville Athletic Club tied for third in the emerging elite division with a clearance of 12'02.5". IMG Academy senior and University of Pennsylvania signee Beatrice Juskeviciute leads the girls heptathlon after day one. 4A 300mH state champion James Rivera of Lakewood Ranch won his prelim heat in 14.27 and placed sixth in the 110mH Emerging Elite final with a mark of 14.39s. Catherine Glenn of the Fast Lane Track Club (also pictured above with Rivera) was third in her heat of the Emerging Elite 100mH in 14.44 and sixth in the finals with a time of 14.54. Adrian Harris of Northside Christian and Malachi Shannon of Empire Athletics finished 9th and 12th in the Boys Emerging Elite 400m with times of 48.98 and 49.11s respectively. Myrka Cadet of American Heritage earned the final qualifying spot in the girls freshman 100m dash and was 8th overall in the finals in 12.04s.